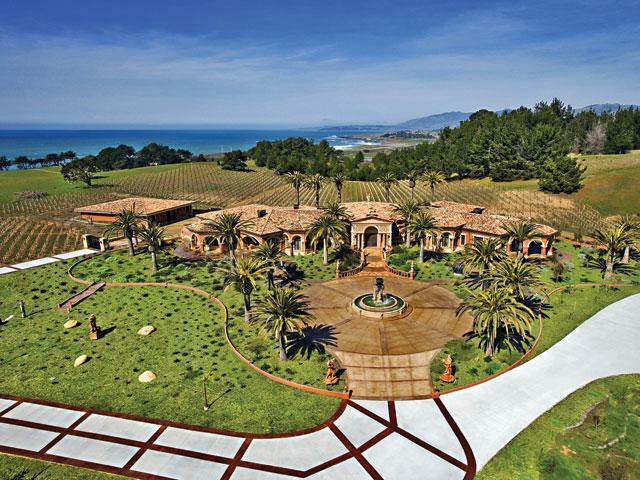 Castello della Costa d’Oro is a vineyard estate located in Cambria, California on 80 acres on the Pacific Coast just south of the Hearst Castle La Cuesta Encantada. This awe-inspiring 33,500-square-foot Venetian-style residence has unobstructed ocean view and is lavished with luxury finishes. There are fine art murals painted on domed ceilings and walls, and classical statuary throughout the estate. This Pacific coast paradise stands among the finest homes in the world.